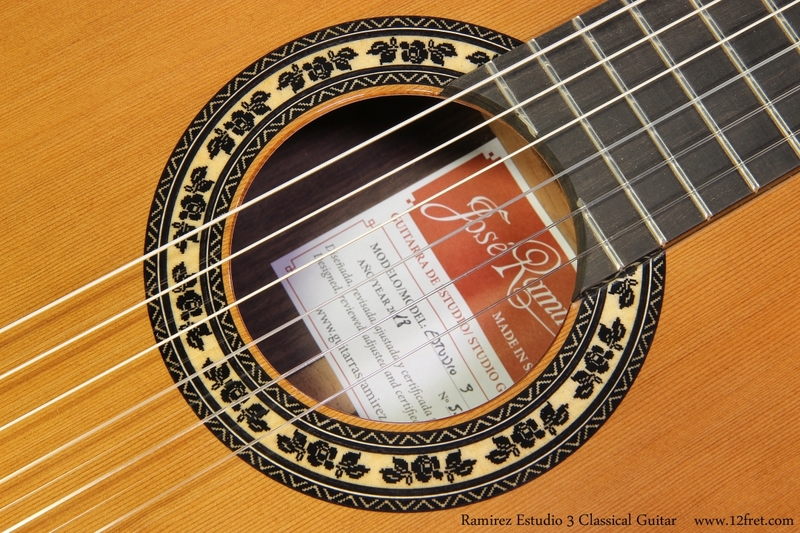 The Ramírez Estudio 3 / Studio 3 Classical Guitar is the top Ramirez studio guitar with a selection of the finest, high-quality woods. Its sound is reminiscent of the characteristic Ramírez timbre. Made with all solid woods and an improved internal design for more volume and projection are some of the key points of this redesigned Ramirez Studio Line of guitars. 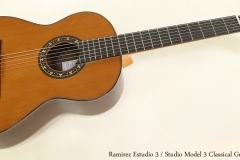 The Ramirez Estudio 3 / Studio 3 classical guitar is the third model and top of the line in the Studio Line from Jose Ramirez guitars. 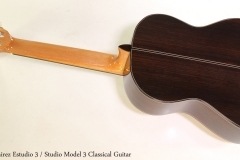 Built with a solid cedar top, solid Indian rosewood back and sides and ebony fretboard. The Estudio 3 / Studio 3 produces great volume, body, interplay of tones, balance, roundness and warmth. 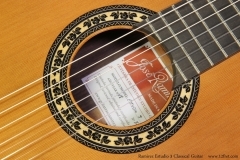 A great guitar for advanced students and professionals looking for the legendary Ramirez sound. Due to international agreements, we cannot shio new Ramírez guitars to the USA.